Wurlitza are a critically acclaimed five piece band from South East Cornwall who add live soundtracks to silent films in a way that is completely unique. Wurlitza’s wide ranging repertoire includes original, pop, contemporary, classical, jazz and klezmer music. Wurlitza add a modern twist to silent film accompaniment by adding music that will be familiar, but arranged in a way that is novel and fresh. The soundtrack to A Cottage in Dartmoor includes classical pieces by Mozart, Chopin and Villa Lobos, alongside jazz and pop songs from Serge Gainsbourgh, Blondie, Buddy Holly and Coldplay. 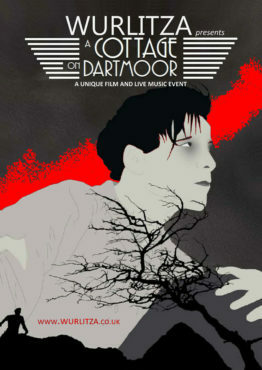 A Cottage on Dartmoor is a thriller of love, jealousy and hairdressing. Made in 1929 by the young Anthony Asquith, this film explores the latest craze to have been hitting the cinemas; the talkies. One of the last silent films to be made, this is early British cinema at its best.